Dr. Chao's research has focused on Maternal behavior, Women's Health, Nursing Workforce Study, Nursing Education, Qualitative Research, Cognitive behavior research and Health Policy Research. 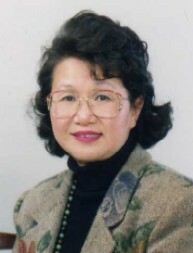 Dr. Chao's most recent contributions include: 1) Designing Nurse Practitioner System in Taiwan; 2) Reforming Basic Nursing Curriculum of Baccalaureate Nursing Program; 3) Establishing A Nursing Education Accreditation System in Taiwan; 4) Promoting Standards and Guidelines related to Bioethics; 5) Conducting Nurse Workforce Study: a 10-year forecasting; 6) Proposed a Plan on A Nursing White Paper in Taiwan; 7) Issues and Dilemma in Nursing Research Ethics in Taiwan; 8) DIY Policies on HIV/AIDS Prevention, Treatment and Care from Target Groups; 9) In the process : Designing A National Policy on HIV/AIDS Prevention, Treatment and Care; 10) In the process: Innovative Care for Chronic Conditions: A Guidelines for Nurses in Taiwan. 2. Chang PF, Chao YM Yu, Chen, YS. Good nursing from the perspective of nurses, TWNA Journal of Nursing, 54:4, 26-34, 2007. 3. Chang SR; Chao YM Yu. Perspectives on Body: Embodiment and Body Image, TWNA Journal of Nursing, 2007 (in press). 4. Chiang HH, Chao YM Yu & Yuh YS. Informed choice of pregnant women in prenatal screening tests for Down�s syndrome, J. Med. Ethics, 23:273-277, 2006. 5. Chang SR, Chao YM Yu, Kenny NJ. I am a Woman and I am Pregnant: Body Image Change of Women in Taiwan During the Third Trimester of Pregnancy, BIRTH, 33:2, 147-153, 2006. 6. Yang YL, Chao YM Yu, Chen, YC & Yao G. The Changes and Factors Influencing Health Related Quality of Life after Hysterectomy in Premenopausal Women with Benign Gynecological Condition, J Formos Med Assoc, 105:9, 731-742, 2006.